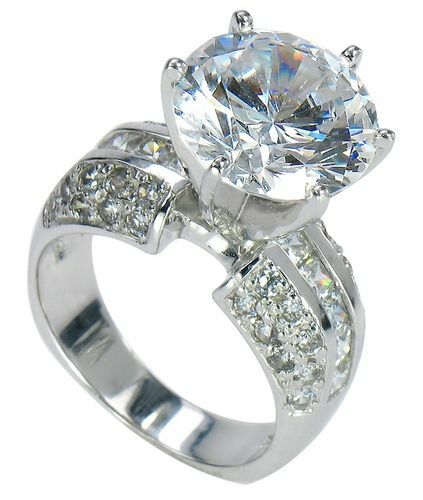 The Round Riviera 5.5 Carat Round Cubic Zirconia Pave Princess Cut Solitaire Engagement Ring. This version of the Round Riviera solitaire engagement ring features a 5.5 carat 12mm round hand cut and hand polished diamond look cubic zirconia center stone with pave set rounds and a single row of princess cut stones that are channel set down both sides of the shank. 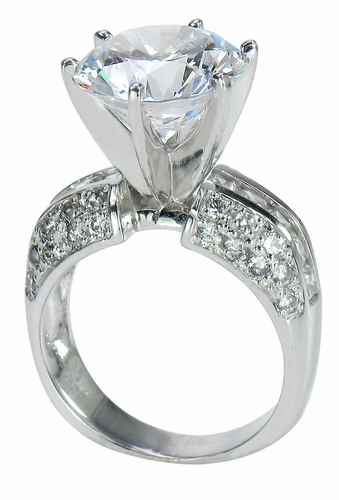 The large diamond look center stone is set in a very secure and bold die struck six prong Tiffany style head. 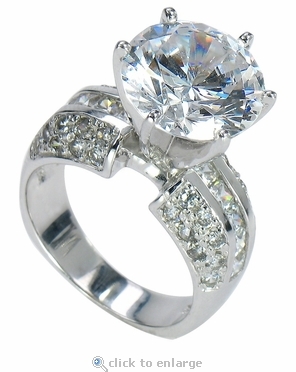 The total carat weight is approximately 7 carats of the finest hand cut and hand polished original Russian formula diamond quality cubic zirconia. The solid 14k white gold mounting coupled with its high quality stones offer you the finest quality of finished product that will rival any other real fine diamond jeweler. 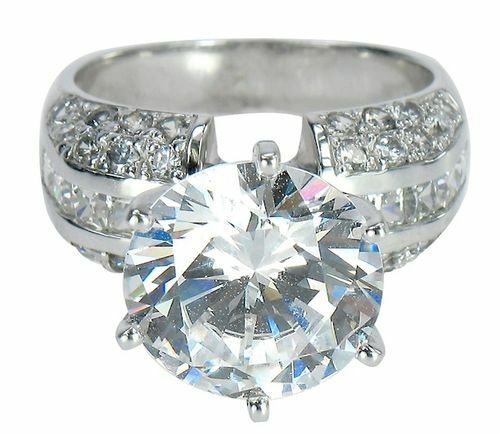 The band of this engagement style solitaire measures approximately 9mm at its widest point and has slightly squared off shoulders on the shank, reminiscent of a European style ring. This solitaire would make an amazing engagement ring. You can special order this solitaire ring with any shape or size center stone as well as 14k yellow gold, 18k gold or Platinum. 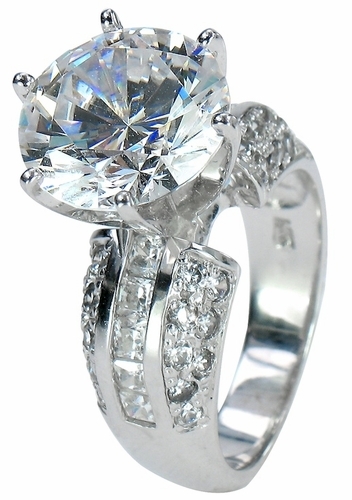 For special orders, simply call us or Live chat with one of our cubic zirconia jewelry specialists. This item is a clearance item. Due to extremely low pricing, all clearance items are a final sale. Clearance items are stocked in a certain finger size(s). They may be sized for an additional fee. Please see menu options below.